The ACRE team spends a lot of time helping people in Nashville find their dream homes — East Nashville Victorians, timeless Tudors in Belle Meade, contemporary masterpieces in Oak Hill. Those people, without fail, are at least of voting age. No one of a more pre-school stature has ever asked us to take them househunting. But we hate the idea of any of our neighbors feeling left out, so just in case, we collected some astoundingly dreamy dream homes, just for small Nashvillians. 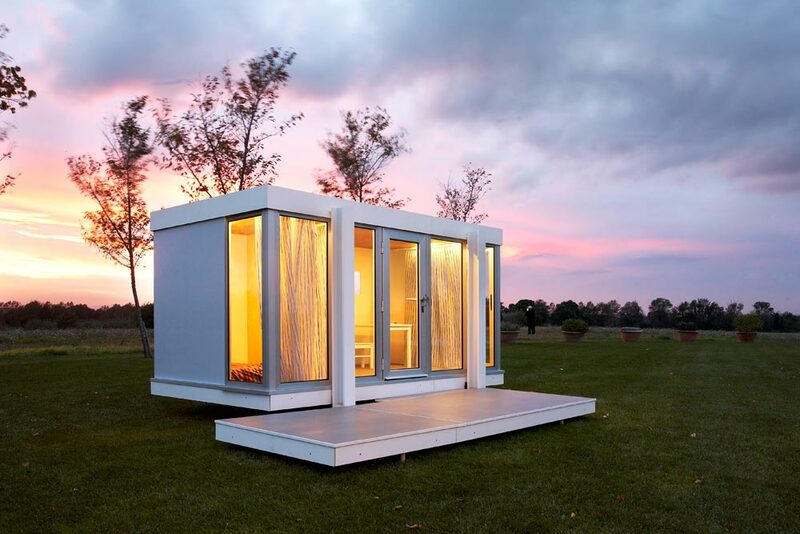 You won’t really need a Realtor to put one of these in your Nashville yard, but fair warning, you might need a mortgage — mini-mansions don’t come particularly cheap. Haven’t managed to move into the Nashville Victorian of your dreams yet? 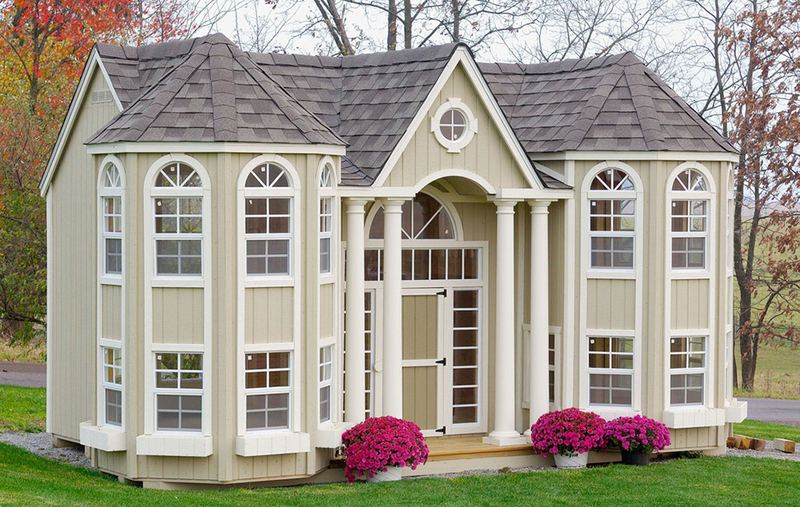 If you have an 8’x16’ patch of property in your yard and about six grand to spare, you can at least add in this mini one, with picture-perfect details galore, from gingerbread trim to a gorgeous turret with working windows. The same company that builds those Victorian mansions takes the opulence even further, with a 10’x16’ Grand Portico mansion that most tiny house-hunters would probably be quite content to live in. It has 22 working windows, stately columns, a laddered loft, and even a full-sized door in the back, for when it’s the grown-ups’ time to live large in a small mansion. It’ll (unsurprisingly) set you back a bit: almost $9000 for a kit, $13,000 for a pre-built building. 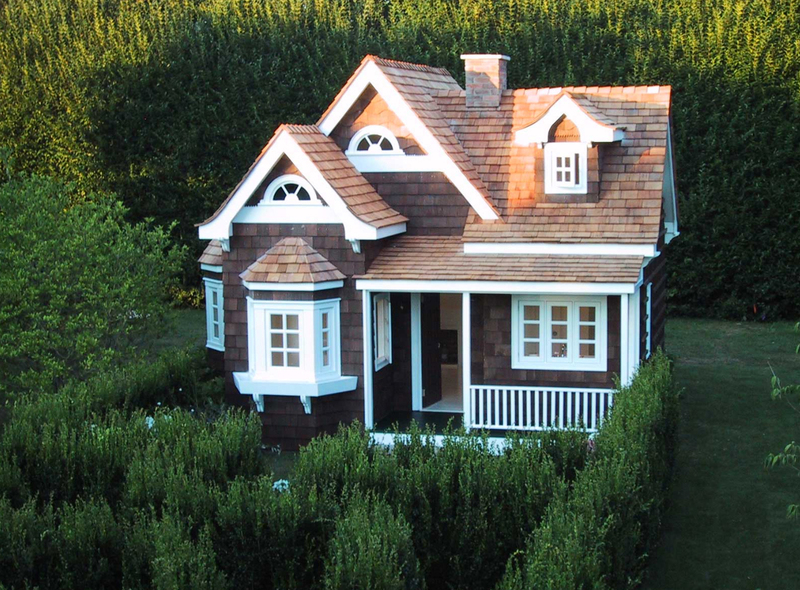 For those of us who’ve always dreamed of a beach house in the Hamptons, this is almost as good as the real thing, just closer to 20 grand than $20 million, and pint-sized. To be fair, this cottage by La Petite Maison isn’t even that pint-sized — the ceiling heights inside average eight feet, so adults can walk around just fine. With that $20K budget, it has real hardwood floors, a full kid-sized kitchen and upstairs bedroom, and on and on. 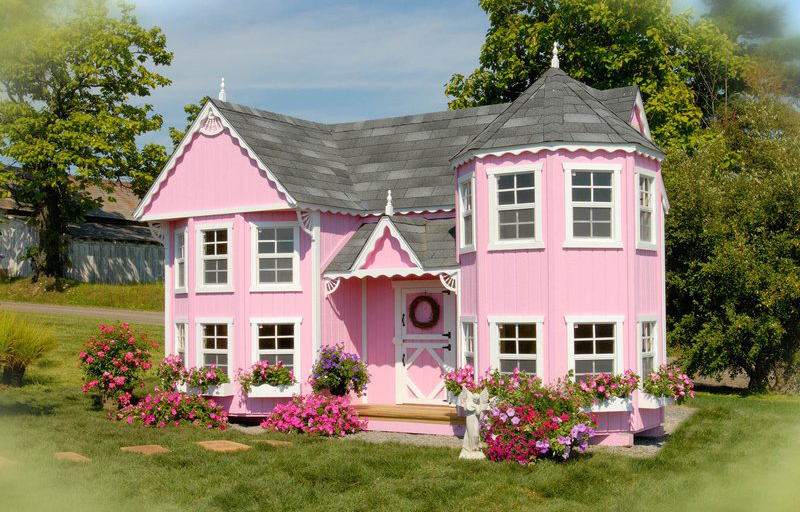 No, seriously, that’s a playhouse. It has hand-scraped hardwoods, and a bay window with a seat. There’s a staircase that leads to a loft above the full kid-sized kitchen. (It’s another absolutely mind-boggling creation by La Petite Maison.) Interestingly enough, if you went back in time about 20 years, you could just about grab a full-sized one of these in East Nashville for about the same price: $72, 200. Serious tea-party possibilities here. The details are astounding, from the dormers to the sunburst transom on the front door, and the loft leading to an outdoor balcony. There’s even a tiny faux fireplace, and a skylight. Not every kid dreams about a historic home — some want a modern marvel like this Illinois Maxi from Smart Playhouse, which runs about about $15,000. The headroom here (shy of six feet) makes it a little tough for grown folks to enjoy, but modern design-loving kids will be in paradise. Behind the walls of windows, it has two distinct spaces — a living room and bedroom, if you like — plus that cool platform deck in the front for afternoon daydreaming. You can even add an artificial grass roof. 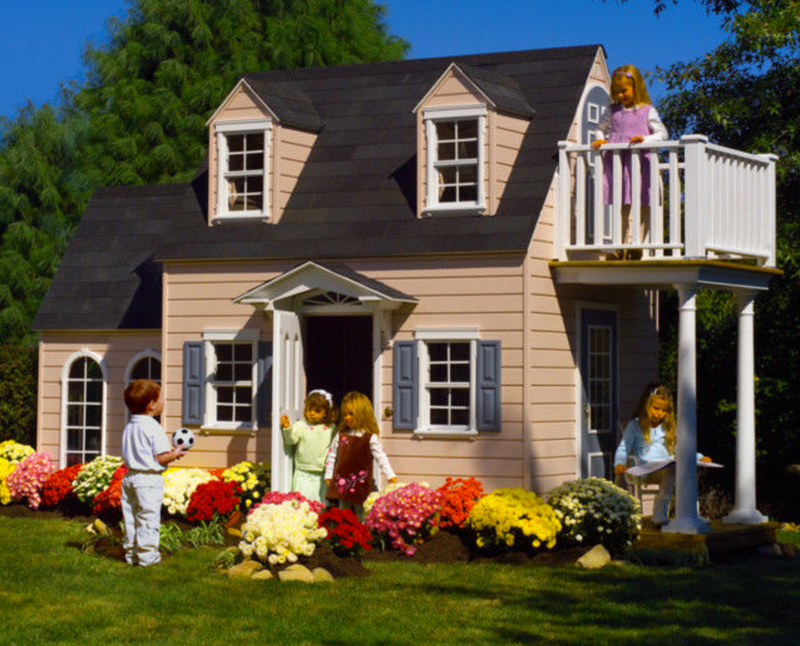 Hope these diminutive dream homes entertain/wow you as much as they did us. 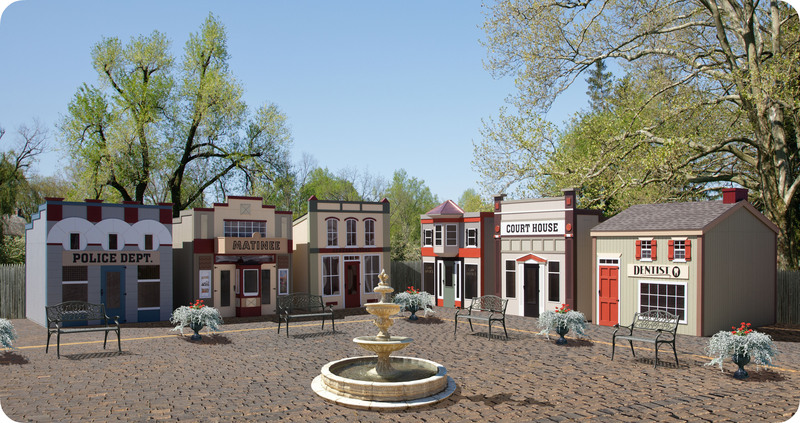 Need to find a grown-up-sized Nashville home before you can think about putting a mini-manor in the backyard? We can help. Reach ACRE here, or for a quick and easy way to get your Nashville househunting started, fill out this online form.